Jyoti Malik – A Journey of Stride, Struggle and Strength an inspirational story of a Punjabi Girl from Ludhiana, named Jyoti Malik. She has been suffering from an eye problem related to optic nerves since birth and has 100% vision impairment. Jyoti Malik family came to know about this problem when she was around 5 months old. 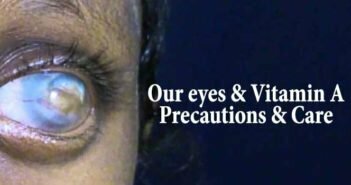 Initially, Jyoti’s parents took time to accept that such a beautiful eyes were victim of a disease. It was a threshold to a new different world for Jyoti and especially for her family. After a few years, one day, Jyoti’s mother saw a blind school bus dropping two persons at a bus stop. She, wasting no time, followed those persons and reached their place. After meeting them, she came to know that there is something like blind schools for visually challenged people. It appeared as a ray of hope for the family. Soon Jyoti was admitted to a blind school named ‘VRTC School’. She lived in the school hostel as school was in the other, corner of the city. Jyoti remained in hostel till class 12th. Here, up to class 6th, students were taught all the normal subjects but like in most of the blind schools, after sixth class, students were influenced to go for music. The studies were mostly music oriented. We all know that life in a hostel is not easy for anyone, and so was the case with this little girl. She not only adapted to this life but also remained a good student throughout. She scored in seventies in both class 10th and 12th. Jyoti was the school head girl when she was in class 12th. Not only this, she even got ‘The Best Student Award’, to her credit. Apart from this, she also did Visharad in Vocal Music. Jyoti was also one of the students who got selected to meet Sri. Abdul Kalam when she was in class sixth. There was no computer in her school and at home. Computer came in her life when she was in class 10th. Whenever Jyoti happened to visit her house, she would do experiments on computer. Gradually, she started exploring commands and other features of this ‘featured box’. At that time, there was no screen reader in her computer. After finishing her schooling, Jyoti got to spend more time with this machine. Her constant efforts and curiosity led her to grasp it. During this period, she met a person who told her about screen reader. She took some initial assistance from him and then learnt this software on her own. Gradually, she became so good at computer and talking screen reader that she got independent in her studies and everything a person can do on a computer. 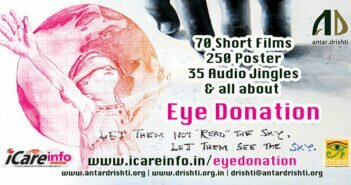 Today, Jyoti is an RJ and Program Manager of Radio Udaan, an online radio station run by visually challenged people. Jyoti has a passion for website designing and has made many websites for different people. Even the website of Radio Udaan is also made, designed and administrated by her. She also guides and assists her friends in computer and software related issues. Because of her never giving up attitude and constant efforts, Jyoti is managing all this along with her Masters in Political Science. ‘My aim is to crack PPSC Exam’, says Jyoti. Jyoti carries a positive mind and believes in hard work. She has so many hobbies like cooking, exploring softwares, helping her friends etc. Best thing about Jyoti is that she never leaves any opportunity to interact with people. Her determination keeps her going through every situation. I wrote Jyoti Malik – A Journey of Stride, Struggle and Strength story because it proves how hunger for knowledge, passion for living life to its fullest and never giving up attitude can enable a person to achieve everything he/she wants to accomplish. Next Article What does insulin do? Diabetes Quiz – What Do You Know? I am Masters in English. I am suffering from Glaucoma. I do write articles for different newspapers and magazines as freelance content writer. I love Writing, Singing and Playing Musical Instruments. I am also an RJ in an online radio station ‘Radio Udaan’.